My life time clinical coronary skill went in vain . . . when this patient entered my clinic with chest pain ! Evening cardiac clinic is generally a relaxing place until an occasional patient with vague chest discomfort present with this sort of an ECG . He was a 68 y old hypertensive and was on Tablet Amlodipine .After a cursory look at his ECG , eyes wandered to look for some specifics. Suddenly ,my ECG reading skill was stretched . Is it really LVH ? or Ischemia ? I asked for any old ECG which he couldn’t provide. I had to blink more than a moment , before asking him to describe his chest pain in detail one more time . I got almost convinced it was not ACS since he was having only localized pain over left side of chest. Still , I didn’t have the courage to send him home. An Echo was done. Curious to know what the Echo showed ? Yes , you also probably guessed right . It is LVH and there is no wall motion defect either. 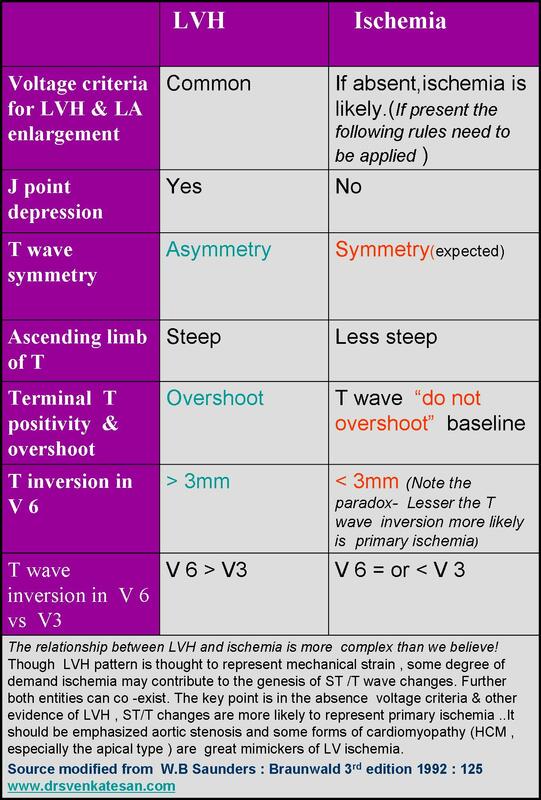 How to differentiate between Ischemia and LVH ? This is a common question asked in the board exams.There are number of ECG clues to differentiate the two .Mostly it will help fellows to pass exams. Academics rarely comes to your rescue when patients land with chest pain especially at odd hours. Now comes the real twister , Does presence of LVH exclude Ischemia in any way ? Why can’t be ACS in a patient with LVH ? When I posed these questions , some one suggested global longitudinal strain with speckle tracking to rule out ischemic wall motion defect, my resident suggested high sensitivity Troponin and Ischemia modified albumin. When we are not sure ,the traditional coronary care dictum shall operate .It demands admit, observe, with serial ECGs and enzymes. This protocol cant’t be followed strictly for a variety of reasons . We may have to rely entirely on our clinical Intuition accrued over the years. 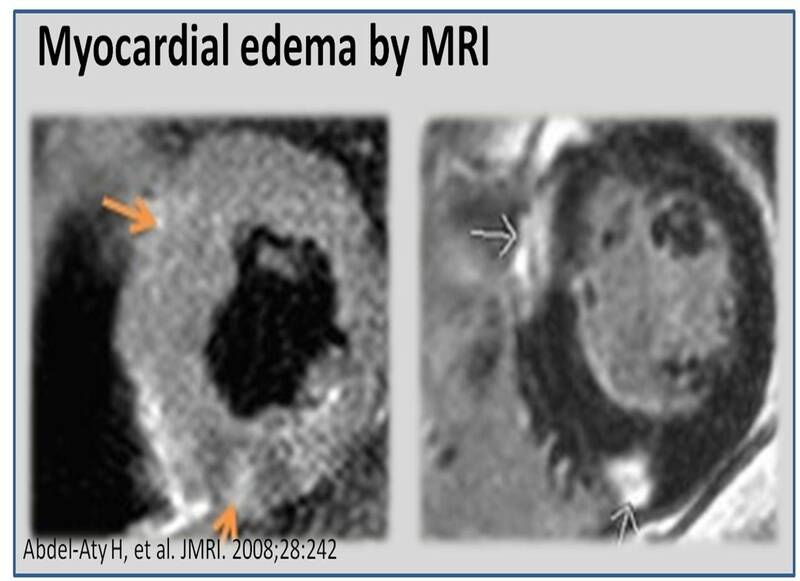 A modern-day cardiologist might have a different dictum .The simplest solution in such situations is a diagnostic radial snap shot coronary angiogram .It is an easy way out . . . , and avoids the trouble of spending wasteful minutes of personal conversation with the patient .The ethics of outsourcing history taking , patient record review or even clinical examination has pushed the definition of professional competence in coronary care into murky grey zone. One more reason we should hesitate to rush these patient to cath lab is the detection of incidental insignificant CAD (Which will loom larger than life when they are wheeled in from ER) that will lead on to further inappropriate chain of events. How relevant is clinical acumen in modern era ? Clinical acumen in medicine can never be taught in class rooms or read in text books. It is the innate ability to combine knowledge, experience ,skill and lastly (and most importantly) courage to ignore conflicting and pervasive data from new generation Investigations. Instead of helping us ,they often directly affect our increasingly vulnerable native medical cognition. Even if some one is blessed with a good clinical acumen it seems to have little value many times as power of Investigations and fear of missing a event will prevail over it ! I have been victim of this phenomenon many times and not able to follow what my mind preach me ! What happened to this patient ? I had to admit him against my wish (Of course I was safe!) He too got admitted reluctantly and was observed till morning , spent Rs 5000 for pack of investigations and stay , was discharged without any issues with a diagnosis of simple Hypertension and LVH. The non academic bug didn’t stop there . . . again contrary to my conscience I had to suggest optional coronary angiogram to rule out true CAD as a precautionary statutory advisory ! How do you know this is really not CAD ? I won’t believe unless and until I see the CAG and its normal. Ok, Let me post his angiogram if he decides to undergo it.